Under the so-called "presumption of correctness" - which has been established exclusively by judges - for example, if your employer reports to the IRS that it paid you $5 0,000 the presumption puts the burden on the taxpayer to prove that the money wasn't received or that the amount is incorrect. The IRS determination is presumed to be correct. The 5th Circuit ruling, however, refused to accept that approach when it considered a tax dispute between a Texas house painter and the service. Ramon Portillo had worked as an independent contractor. One of Portillo's clients filed a tax information Form 1099 with the IRS stating he had paid the painter about $35,000. Portillo, who did not receive a 1099 or summary statement from the client reckoned the income 17mm that client from his records and reported only $10,800. The government sent him a notice of deficiency, seeking more than $8,000 in back taxes, plus interest and penalties. But Portillo insisted he never received as much from that client as the client's 1099 indicated, and decided to fight the IRS in court rather than pay the additional tax. The U.S. Tax Court, relying on the "presumption of correctness," ruled in favor of the government But the 5th Circuit reversed, saying the presumption may serve the government's legitimate interest in collecting revenue, but it should not apply when there is no foundation to back it up. "The tax collector's presumption of correctness has a Herculean muscularity of Goliath like reach, but we strike an Achilles' heel when we find no muscles, no tendons, no ligaments of fact," the court mused. "In this case we find that the notice of deficiency lacks any 'ligaments of fact.'" A court "need not give effect to the presumption of correctness in a case involving unreported income if the Commissioner cannot present some predicate evidence supporting its determination," the 5th Circuit said. The IRS is not amused. New Commissioner Shirley D. Peterson went so far as to tell a subcommittee of the Senate Finance Committee "the entire tax system will eventually crumble" if the decision stands. Unmoved, the Senate - led by long-time taxpayer-rights advocate Sen. David H, Pryor, D-Ark., and Sen. Richard T. Schulze, R-Pa. - has included in its version of the tax bill language intended to codify the Portillo decision. House tax writers, on the other hand, have opted to include language that would merely encourage the IRS to substantiate its position in disputes based on matched information. Not that this is likely to make any difference, anyway. President Bush has already promised to veto the measure if it comes to him with a tax hike for the upper class. That would leave Portillo good law in the 5th Circuit, unless the U.S. Supreme Court intervenes. 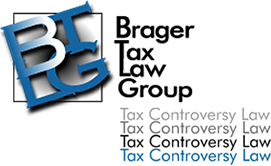 Dennis N. Brager, a certified tax specialist in Century City, says it would also open the door for similar challenges to disputes based on IRS matching in other circuits. He said the 5th Circuit ruling does not really cut new law. In fact, the 9th Circuit came down with a similar decision requiring some IRS substantiation more than a decade ago. Weimerskirch v. Commissioner, 596 F.2d 358 (1979). The 2nd and 3rd circuits have also reached similar results. "What's interesting about Portillo is that it applies the doctrine to a situation that is very common," Brager said. "In that sense, it is a very valuable case that practitioners will want to cite." Brager said the case may particularly exercise the IRS because of the agency's heavy commitment to information matching in recent years, as well as the broad range of cases that would seem to fall within its common facts. "The court is saying the IRS can't just hit a button on a computer and rely on that, and that increases the burden on the IRS to introduce some admissible evidence on which it is relying." Brager said.